Any fan of Park Chan-Wook knows he has style. Old Boy has a wonderfully elaborate plot with a neat twist at the end but what really grabs is the direction. Every scene and shot shows a calculated style that impresses and makes familiar genres feel revitalised. What would he do with horror? Vampire films are a sub-genre undergoing resurgence but still trading on the familiar tropes of eroticism. Thirst, instead, takes an unsentimental look into the life of a vampire. It is this that gives the film a strong identity as it explores themes of guilt and morality from the perspective of the vampire. There are none of the traditional vampire motifs or gothic atmosphere as this movie takes place in modern Seoul. A devout priest, Sang-hyun (Song Kang-Ho) seems to be suffering a crisis of faith that affects him early on in the film. He seeks martyrdom to escape this crisis, leading to him to an experiment for a vaccine in Africa which could be near fatal. This paragraph will summarise the most important points: this film isn’t as visually spectacular as Avatar but the world it creates is just as or even more immersive and the 3D helps (surprisingly Alice was shot in 2D and retrofitted with 3D). To finish off, the story, dialogue and characterisation are better than Avatar’s albeit still formulaic. That’s it. Read on if you want. 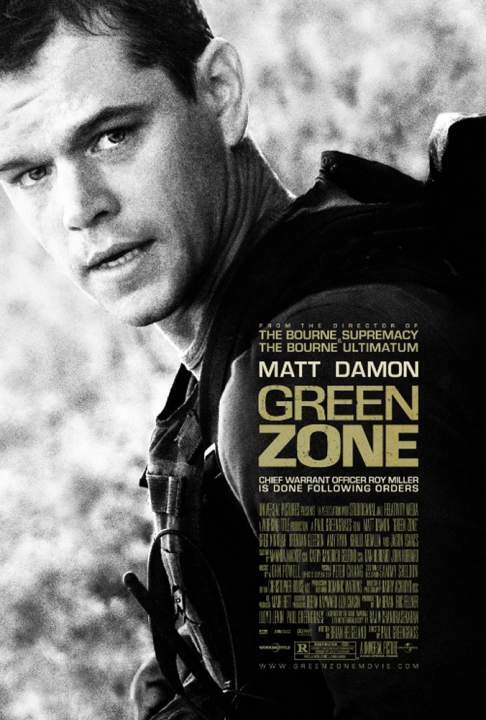 If you loved the Bourne Ultimatum, then you’ll be in heaven with Green Zone. It features the same Director, Actor, the same style – handheld, shaky cam, close-ups and dramatic pans all of which make the action so frenetic. It also has a similar feel in terms of the mistrust of Government and one man fighting to reveal a conspiracy. Doctor Who usually appears in people’s lives by chance, and so it was with me as on Thursday 18th March 2010, I met the 11th Doctor and his assistant. I had gone to the cinema on a Thursday instead of a Friday as originally planned. 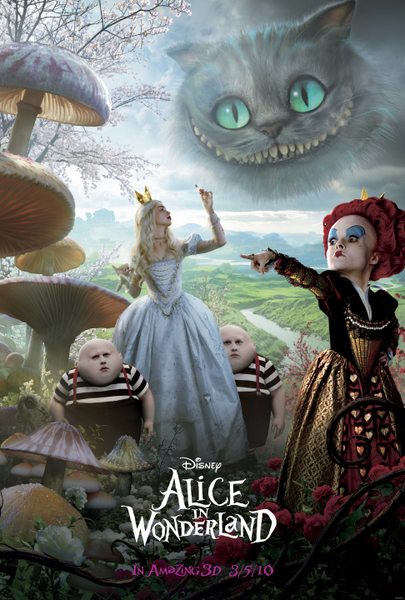 I had just seen Alice in Wonderland in 3D (review to come). As I was leaving the cinema, I chanced to notice people putting up posters with the BBC logo, Doctor Who logo, Doctor and Assistant. Why would a cinema be screening the new Doctor Who? 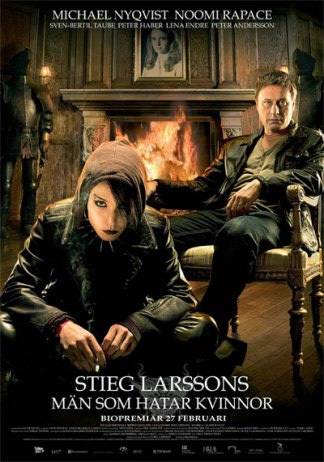 The film is based on the first of a series of books by Stieg Larsson called The Millenium Trilogy. I must admit I have not read the books so I went in to the film blind. I came out convinced that this was an exciting but tough film and I am eager to read the books or at least see any further films. Here’s a very good site for anybody studying Japanese. This website offers a flashcard presentation style with the symbols appearing and the user typing in the corresponding Hiragana. There are a lot of Flash games on the web and a lot of websites that specifically host them so I thought I’d highlight two games that have captured my attention in recent months. The two in questions are Canabalt and Robert Unicorn Attack. I have played just over 60 hours of Final Fantasy XII: Revenant Wings. I’ve previously stated my like for Final Fantasy XII so I assumed playing this handheld version would be fun. I was pleased when I got my DSi for Christmas (yes I knew the DSi XL was coming out). I loved the idea of being able to play Final Fantasy and Disgaea on the move and in bite-size chunks. 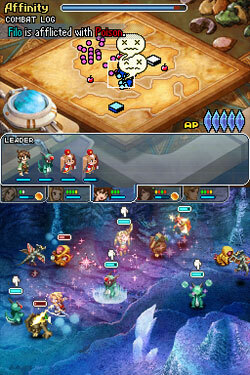 Levelling up would be a pleasure because the images and the music would be familiar and enjoyable although reduced. Just a quick post to say that the results came out as expected although I was surprised that Precious won the Oscar for Best Adapted Screenplay and A Prophet didn’t win the Best Foreign Language category. Most importantly, Kathryn Bigelow and The Hurt Locker swept up the major Oscars. I’ve made my predictions for the Oscars. I figure The Hurt Locker and Avatar are going to split the non-acting awards between them.